My grandmother's elder brother went to Monkton Combe School in January 1883, but was there for only one term, and died of menengitis in the Easter holiday. During that term he managed to get himself into trouble with the law. These five letters are the only memorial to William Parsons Ball-Acton that I have. Does a photo of him exist? I have recently been sent by a kind gentleman in Ireland a set of Ball-Acton scrap books. These are photos from Willie's book. He was 5 in 1876. 1. Willie's first letter after arriving at the school. I received your letter today, and the P.O.O. on Friday. I like this school very much. I am in the third form and it is much too easy I think. I have done Henry's 1st Latin Bk. two years ago and I have to do about the 30th exercise, and the other things are very easy. Mr. Bryan thought I had better not be put in the next form because I might have been put down again and it was better to be in the third; but I think I shall soon get out of it. There is no football because there are no matches to be had. I daresay Mama has told you that a boy called Buck came and asked her if I was an Annesley and said he knew the Annesleys at Blackheath. Mr Bryan has just asked me to send his kind regards to you. I hope she will get better and you are quite well. I will tell you more about the school presently. I got the brush and comb with the books.There is a place where those who cannot swim can learn. 2. Willie is moved up to the Fourth Form. I received your letter on Saturday and the pocket-handkerchief about a week ago. I am very sorry I have not written for such a long time. I lost all my marks the week before last and the marks are 1 and bottom are twenty. The Optime and Satis are marks for conduct. The master in this form is much stricter than the one in the third form. What are my marks for this week? There are twenty-one boys in the fourth. I am the youngest in it, but there is another boy a few months older than I am. There is a school paper, called the Monktonian, which perhaps I will send you. It comes out only once a term. We only played cricket one day which was very fine, we too have nearly every day wet. I have got the Little Folks and your Valentine and letter on the 14th. I did not send you a valentine because I did not think you would care about it. I think I do not want you to send the Little Folks to me any more. There are sweet violets in the hedges here, and I have found a good many of them and a few primroses. What was the present like that you sent Miss Fridner from me? Will you thank Eiz. Drought for the crests for me? We get up at 7.15 and breakfast at a quarter to eight. We finish at 1/4 past eight and then prayers, which take about 1/2 an hour. school at 4 and milk and biscuits at 5 then lessons to 6: tea at 730 then prayers, Prep.from 8.30-9.30 which I do not have. We have 1/2 holidays on Weds and Sats. I hope you are all quite well now. 4. Willie is in trouble with the police. On Wednesday I and three other fellows were going to a place called Southstoke, because two of them had to take a letter there for a master instead of a drill, and I and the other fellow were going out for a walk with them and when we knew they had the drill we went after them, and on the way went over a bridge where trains went under, and as a luggage train went by we tried if we could drop some mud into the trucks, which were empty, but unfortunately one hit the lamp at the back of the train and I think smashed it. We went on with our walk and never thought anything would come of it. But on Friday a policeman and a guard of the train, who said that on Wednesday stones had been thrown at a train and smashed a window which cut the guard a little. They had seen from the train three boys who were on the canal bank, which was below the train, with school caps on. But none of us had school caps on, and they would never had [sic] found us out if Mr Bryan had not asked who threw stones at a train; then we said we had. In Bath last night they held a kind of trial over us, and perhaps we shall have a summons on Monday morning. 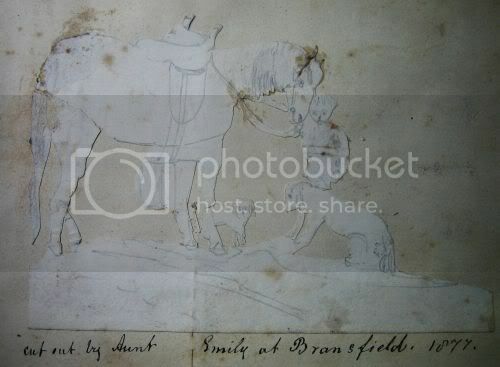 One of the masters here has been very kind; he has been once to Bath yesterday and two or three times to Mitford [sic - the name is Midford] to try and see the manager of the railway. Captain Burnett came to see meon Tuesday, and yesterday Mr Cryan told me that he had asked me to go to him on Wednesday at Limpley Stoke. Mr Bryan's initials are not W. but R.G. I had a letter from Mrs Adams about a week ago. She asked me tocome and see her in the holidays for a day or two. I had a letter from Uncle Tom this morning telling me the name of the flower I sent him; it is Lathraea Squamaria. [Toothwort - see the picture in the photos section. Uncle Tom was the man who planted the grounds of Killmacurragh, which became a world-class arboretum.] I cannot understand the rest. I send it to you, and will you please decipher it to me. I hope you are all well at home now. When did you come back from Ireland? What have I got for conduct these last weeks? will you tell me what I have each week, as I do not know here? For the sports we have to have colours, I have red and pink, and most of the boys get them trimmed in Bath, so can I have mine done there? I hope you are all quite well. I have been better for the last few days. I came down on Saturday; I had been in bed for nearly the whole week. But to day my neuralgia a little worse, and I have come up to the sick-room this afternoon. It is mostly in the right side of my forehead and a little farther up in my head. My ear-ache is quite well now, the matron thinks it was the neuralgia too in my ear. It does not hurt me when I am still, but when I move suddenly it hurts me. I should like a little money please, I have only got 2/- left and I have kept them for a long time. I have had to pay 3/- for the sports. They are on the 11th April. May I get my colours in Bath. Please answer me soon, because I have only got a fortnight left to get them in. I was going to order them on Wednesday but Mr Bryan would not sign the order I had written to get them unless I had leave from home. I have asked you once before. We have to have our vests trimmed with some colours for the sports. I have red and pink. I got a post office order from Aunt Janet for �1 in her letter. [Aunt Janet was Uncle Tom's sister, who never married, and helped her brother with the arboretum and gardens.] Has she sent me any other present? I am going to write to her after this. I am sorry for not having written to you for such a long time, but I have kept putting off as usual day after day. I do not think it was that railway affair that made me ill, as Miss Bryan thought. I think I told you I went to Captain Burnett at Limpley Stoke some time ago. He took me fishing and his wife came too; we did not catch anything, as when he was spinning his lines caught twice in an old stump in the river and smashed. We saw about 20 trout on the other side, but we could not get them, as they were in an awkward place and right across. He afterwards in his garden let me aim at things with a nice little rifle he had, some of which I hit. He has four children all under five years. I like him very much. It is rather funny that two of my greatest friends are the ones who were taken before the magistrates with me. They let us off without anything, and told the railway people there they ought to have a bylaw to which would deal with this offence. I received your postcard this morning, and the Boys' Own Paper two or three days ago. The winds here have been very cold for the last three weeks about. Miss Bryan told me yesterday that you had asked if I might have an egg when Iiked; so when I want one I can have one. I slept in the same room when I was ill as usual and generally had a fire. Did you really get all the shepherds in? There was a confirmation here about a month ago. I hope I will remember to write to Granny on her birthday. 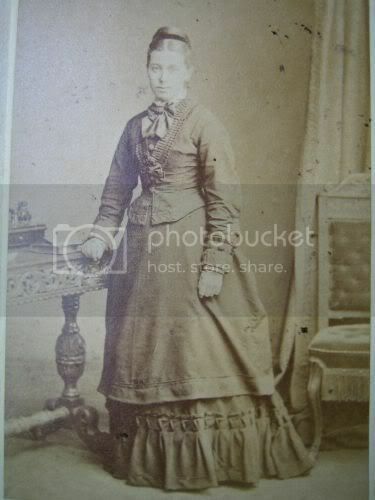 [I don't know which grandmother this was, and do not have the birth date for either of them.] Tell Papa I have finished the first book of Euclid. I hope he will have a safe journey. There are about 20 in the fourth form, but they are divided into about two classes in nearly everything except Scripture. I am in the first class in most things I think. I do notlearn French with the French master, as he only takes forward boys. The master of the 4th form, Mr. Franklin, is a very good master and teaches excellently. I do not think in the third form you could learn hardly anything there, as the master is not very good, he talks about punishing but never does hardly. Franklin is very strict, but it is a good thing. I hope Granny is better and Aunt Emily quite well. Nice to hear from Monkton Combe! It was at Conkwell that I played the harmonium in the little chapel week by week on a Sunday evening. The chapel is now a part of the neighbouring house, which Chris Patten lived in when he was MP for Bath. Aunt Janet was also known as Jane I think, and Mum, when very young, met her as a very old lady in black. I think it was her three older sisters who all died ?TB? in late teens or early twenties. Fanny Humphreys, who became Mrs Alexander the writer of There is a green hill, All things bright and beautiful, and Once in royal David's city, met the sisters and when she visited Co Wicklow after their death, wrote a poem about them. I'll see if I can find it. Robert Parsons - Feb 25, 2003 Yes, here is the poem by Mrs Alexander, when she visited Westaston (now Kilmacurragh) in 1841. I think there should be a comma at the end of line 2 in the last verse? Still linger as in olden time. In olden time that met me here? And wild bird mingles joyously. The breeze that moaned, ye are not nigh. I've just looked up those three sisters in the poem, and found that Maria died at 16, Sydney at 21 and Caroline only 12. 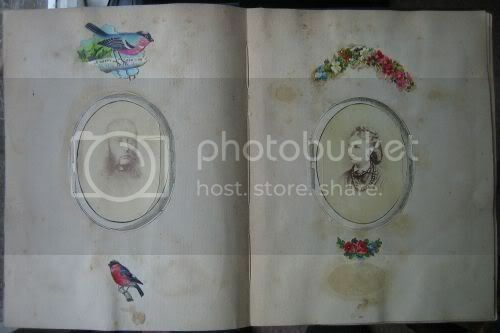 I recently bought some old scrapbooks at auction dated around 1875-1885. 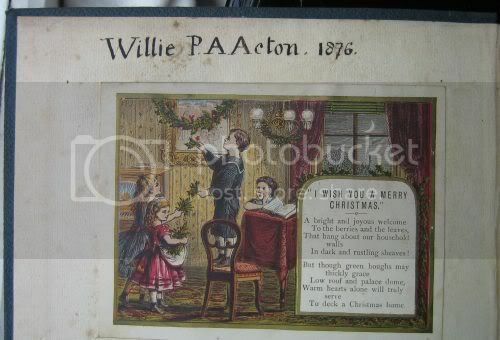 They were created by the Ball-Acton and Annesley Ball Acton family, including Willie P.A. and Charles. I tried to find an e-mail address for the person compiling your history but can't locate it. If these are part of your history can someone mail me please? I replied to this message which came from Ireland via the Guest Map, and now Howard has most kindly sent the scrapbooks mentioned at the top of the page.